Forget riding in regular clothes. Or going out for a quick ride without your helmet. Or even building a successful bike share program. All those are likely to be tossed out the window if Glendale State Senator Carol Liu has her way. Not that she’s anti-bike. In fact, I’m told that she’s a regular supporter of bike initiatives. But on Wednesday, Liu surprised everyone by introducing a proposed law that would require all bike riders, even those over 18, to wear a bike helmet every time they ride. Along with reflectorized hi-visibility clothing anytime they — that is, you — ride after dark. And by surprised, I mean blindsided. Even people who regularly work with the senator on bike issues had no idea this bill was in the works. The reaction was almost instantaneous. And universally negative. 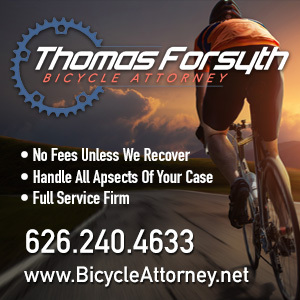 Cyclelicious calls it the “Remove Cyclists From California Roads Law of 2015″ or, alternatively, the “Harass Minorities On Bikes Law of 2015,” both of which have been the result of misguided attempts to impose and enforce helmet laws elsewhere. Longbeachize cites stats and studies to support the argument that the choice to wear a helmet should remain just that. And Streetsblog points out it doesn’t address the actual dangers on our streets, like distracted driving and speeding. Let’s ignore the fact that while requiring bike helmets has been shown to reduce the level of head injuries in other countries, it’s done so by reducing the level of bike riding. Fewer cyclists on the road mean fewer riders getting hurt. And that helmet laws for riders under 18 in this country have been blamed in part for the dramatic drop-off in bike ridership by America’s youth. Never mind that Australia’s restrictive helmet law has been blamed for the failure of bike share programs in that country, since no one can legally rent one without donning a helmet. The simple fact is, bike helmets are not the magic safety devices many people wish they were. Bike helmets are only designed to provide protection in impacts up to 12.5 mph. In other words, a relatively slow fall off your bike, not a collision with a speeding car. Yes, they can offer some degree of protection in a wreck. But thinking of them as the bicycle equivalent of a seat belt or air bag is dramatically off base. And while they can help prevent head trauma, they aren’t designed to prevent concussions. Or to protect against injury to any other part of the body. Which is something Senator Liu should understand, since her own nephew was wearing a helmet when he was killed, and his girlfriend paralyzed, in a collision with a drunk driver in 2004. Yes, I always wear a helmet when I ride. But I never count on it to save my life. A bike helmet should always be seen as a last line of defense if all else fails, not the first. It’s far better to avoid collisions and falls in the first place. And like the requirement to wear hi-viz after dark, it puts the responsibility for safety on cyclists, rather than on government officials, road planners and yes, drivers to ensure our roads are safe. Just like those ridiculous flags pedestrians are expected to wave as they cross the street. And in a marked crosswalk, no less. It leaves it up to us not to get hit, rather than up to drivers not to hit us. A far better alternative would be to encourage, rather than attempt to force, helmet use allowing bike riders to discount the cost of a helmet on their taxes. And encouraging federal officials to raise the safety standards for bike helmets to do more good in real world situations. Along with taking steps to educate both cyclists and drivers, and improve out streets to prevent collisions in the first place. Let’s hope this wannabe law dies a quick and quiet death in the legislature. Before it ends up killing the bike boom we’re currently experiencing. Thanks to Bill Davidson for the heads-up. Davidson also points out that other ridiculous proposed bike law, which would have required bikes to have a blinking white tail light after dark has been amended to require a blinking red light instead. Probably because as originally written, it would have gone against traffic safety regulations for virtually every country around the world, which require white lights in the front and red lights on the rear of virtually every vehicle. On the other hand, many cyclists are currently breaking the law by using a red tail light, rather than the red reflector our outdated laws currently require. Bike riders should have the option to use a red light, blinking or steady, in place of a reflector. And to use lights, ankle straps or other means of signaling their presence in place of the wheel and pedal reflectors currently required. The point should be to maximize visibility and safety. Not adhere to obsolete regulations that do neither. 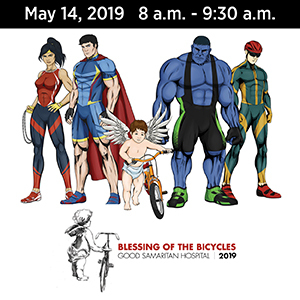 Damian Kevitt’s Finish the Ride foundation is preparing to post their first billboards to fight the epidemic of hit-and-run. But they need your help to raise the funds needed to put them up. He’s also looking for input on which of the two alternative concepts you prefer. If you have any suggestions, leave them in the comments below and I’ll make sure he sees them. Must read piece by Stephen Corwin on LA’s disastrous addiction to cars, which he compares to cancer. And says driving less won’t fix it. Good advice from CABO on how to fight a bad bike traffic ticket. A webinar will be held on Friday, February 27th to discuss how stress level analysis can result in more effective bike network planning. Flying Pigeon says South Pasadena officials deserve to be sued for blocking LA bike lanes from connecting with their equivalent on the other side of a dangerous bridge. The LA County Sheriff’s Department recommends registering your bike to keep it from being a target for thieves. CICLE is looking for Web Developer/SEO Engineer. Santa Monica’s upcoming bike share program is officially named Breeze. Which will inevitably lead to comments like “Breeze blows” the any time a problem develops. The monthly Spoke(n) Art Ride rolls this Saturday. 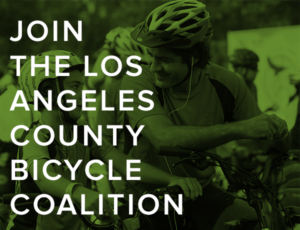 The authors of Where to Bike Los Angeles will host a ride with the LACBC this Sunday to the Pointe Vincente Lighthouse. Malibu is hosting a public meeting on Thursday to discuss the PCH Public Safety Study. If you ride the notoriously dangerous highway, make plans to be there. A Laguna Beach writer says the city has done a lot in response to recent bicycling fatalities, but there’s more to be done. However, sharing a bike lane with pedestrians is never a good idea. A Riverside cyclist is severely injured in yet another hit-and-run. Safety is the top priority for this weekend’s Tour de Palm Springs after Lavonne Koester was killed during last year’s ride. Bike advocates say San Francisco isn’t doing enough to fulfill its commitment to Vision Zero. On the other hand, they’re doing more than LA is. Bike racks sprout in downtown Merced. CityLab takes an in-depth look at road rage, and says the solution may lie in better street design and road planning. Meanwhile a Seattle writer says middle fingers won’t solve anything. An Arizona hit-and-run driver admits to smoking dope on a daily basis, but blames his eight-year old victim anyway. My hometown newspaper concludes their devastating look at a local hit-and-run by asking if justice was done. Also a must read. A Pennsylvania man rides his bike every day. And has for 32 years. Now that’s more like it. A severely drunk Louisiana driver faces up to 30 year in prison for killing one cyclist and severely injuring another; the driver’s BAC was nearly four times the legal limit. Today is International Winter Bike to Work Day. Which should be very easy to do here in LA. Just in time for Valentines Day, Vancouver gets heart-shaped bike racks. Then again, so does London. After a Canadian bike rider is seriously injured in a collision, he gets a $6,000 bill from the driver’s insurance company for damage to the SUV that laid him up for three months. Twitter helps a London cyclist get his bike back four months after it was stolen and taken to Spain, while another Brit can’t seem to get rid of one. Plans for that London bike superhighway hits a snag when British officials decide they don’t want bike lanes besmirching Buckingham Palace. But all those traffic lanes in front of the palace are perfectly okay. Evidently, it’s a universal problem. After Egypt installs bike lanes, they turn into parking lots. 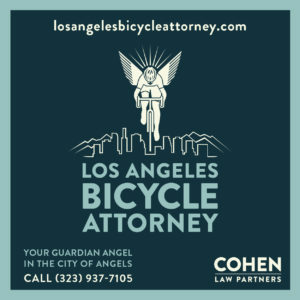 An Aussie website compares underground bike racing to the Fast & Furious, and uses LA’s bike scene as the prime example. You’re not a MAMIL, you’re a grown man on bike. A Montana lawmaker’s proposed legislation would ban yoga pants, among other “provocative” garments, in response to Missoula’s equivalent of the World Naked Bike Ride is appropriately laughed out of committee. And when you buy this $52,000 bike basket they’ll throw in the bike for free. Well…yeah. Why WOULDN’T we do all we can to be responsible for our own safety? I’ve seen cyclists riding at night with no lights and dark clothing, and they’re virtually invisible. I do a lot of riding before and after work, and I have high-intensity head and taillights. I also have reflector bands that I wear on my ankles. I have a strong front head and taillights plus amber spoke lights and I ride at night only on streets with 25 mph speed limits. Why should I have to wear an ugly reflective vest too? I ride at night in my work or going-out clothes. I’m not going to suddenly want to wear lycra or look like construction worker on the side of the road. If you light the bike, there’s no reason to reflectorize the rider. I’m with Richard here. I’m a helmet user who pops on the vest at night, but I’d be thrilled if all riders at night had the mandatory headlight, the approved reflector set (pedal reflectors or reflective ankle bands, both of which meet the rules of California Vehicle Code 21201, seem to be more visible than the red rear reflector), and rode with traffic. Nothing like meeting a no lights wrong way ninja rider on a long downhill…. 1) A backup in case the battery in my flashing taillight should fail. 2) Motion captures a driver’s attention more than stationary. You won’t get any argument from me. When I ride at night, I’ve got two lights in front — one steady, one blinkie — three blinkies in back, two wheel lights, and reflective bands on my ankles and feet. And I agree with you about the motion catching the eye. I used to have an ankle light that was the most effective safety device I’ve ever had, and wish I could find another one. But the key is, as you’ve both noted, lights and reflectors are already required under the law. What we don’t need is a requirement that we all don reflective hi-viz clothes or vests, which would 1) make it more difficult to ride in normal clothes, reducing bike commuting and riding for errands, 2) be another suggestion that bicycling is dangerous, and 3) one more reason to ticket riders and harass those who may not be able to afford it. I like to call these dark riders “Darwinies” I learned a long time ago you need to be seen and it’s always nice to know cars see you https://www.youtube.com/watch?v=0MX9bAMCVo4. I have a total of 6 lights and I have an array of different highly visible shirts, vest or jackets that I always wear when it’s dark. My rule of thumb for clothing — tops at least — is wear something that contrasts with the environment. Wear bright colors on cloudy days, black or reds on sunny days, light colors at night. The billboards’ middle lines aren’t particularly easy to read because they are so close. Would be good to put a little more room between them. I’m also pretty sure that that should be a period and not a comma in the last line. Both of the pictures are a little hokey. They should at least be easier to understand. In the first one, it’s not easy to see the man in the crosswalk in the car coming off the side. A yellow sign may make that easier. In the second one, the text is too small in my opinion. Too hard to read quickly, which is what people usually do with advertisements. If I had to choose between the two, I would probably pick the stop sign design. Typo: man in the crosswalk *and* the car coming off the side. If I had to pick one billboard, I’d pick the stop sign. But I think it won’t work. There’s a disjunction between the picture and the text. I was hoping for the blinking white light on the rear. I’ve got a 1200 lumen head light I would mount facing to the rear and set on blink…. That would really cause some troubles. As for requiring hiviz not until cars are required to have reflectors on the back and sides. 2-3 square feet on the surfaces.